What are the top 5 things massage therapists hear all the time? 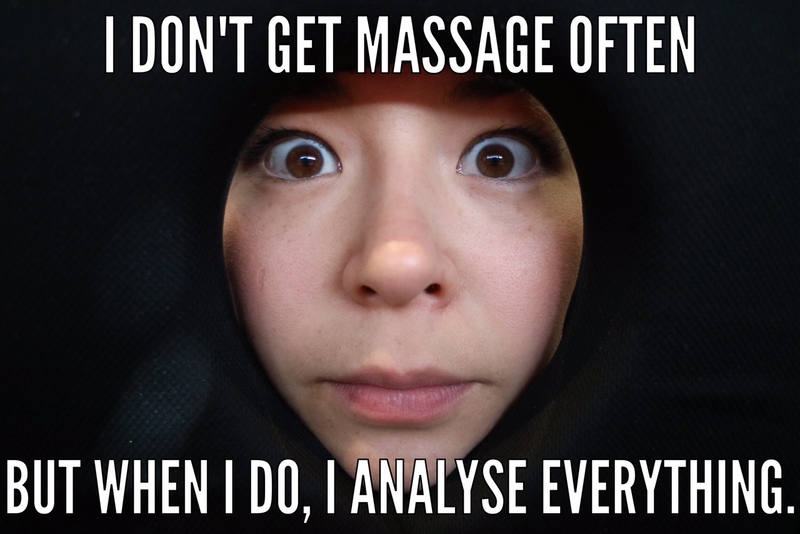 Amanda gives us a funny insight into the world of massage therapists. With more than five years experience in the industry, amounting to 100’s of hours treating, I’ve found there is a common trend to the questions people ask me. I have no doubt it is commonplace across the industry to hear these things, and thankfully most of which I’ll touch on here are innocent and non-offensive. I’ve worked in three massage clinics on the Northern Beaches, however I’m certain what I’ll elaborate on here is not contained only to this area. So if you have said these things to a therapist, all good! It’s normal! If you have considered asking these questions, finally you will receive the answers. 1. Your partner must be so lucky! Does he get massage all the time? Answer: No way! The lucky bugger gets to book in just the same as everyone else. Work is for working, home is for relaxing. More often than not I ask him to give me a massage… he reaped the benefits when I was doing my Diploma training. 2. Do you get sore hands? Answer: Generally, no. 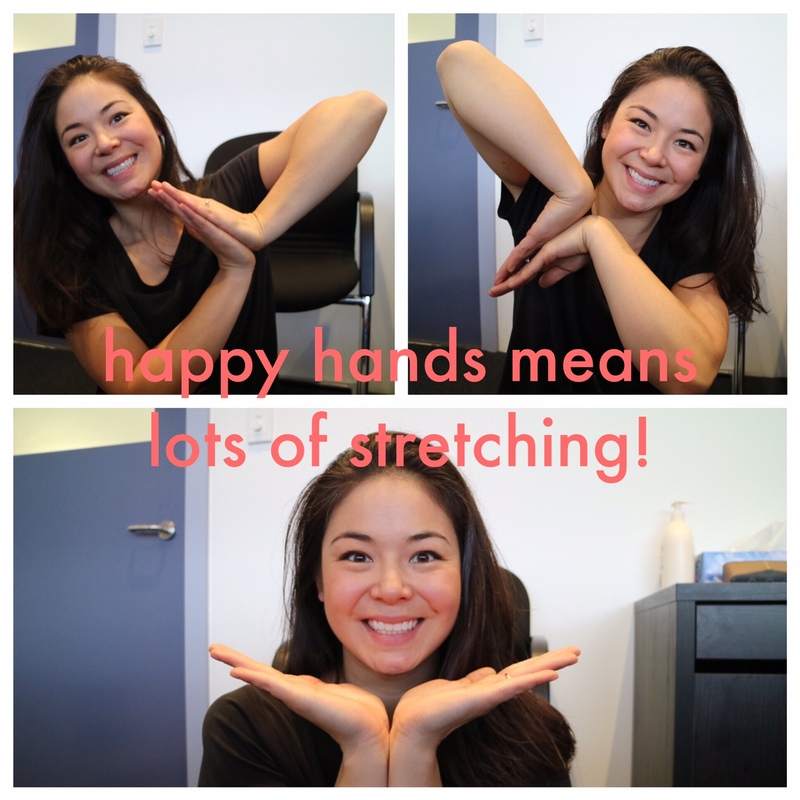 It is important to schedule little breaks and do stretches to keep our greatest asset healthy. 3. 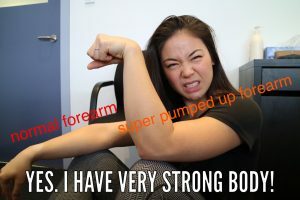 You must be really strong! 4. 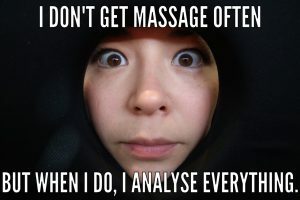 Do you ever get massaged? Answer: I get the most massages when I work in a clinic with other therapists (like Holly! ), and occasionally I try out friend recommendations and get massages on holiday. Unfortunately it’s not as relaxing until the second or third treatment with them, since I am constantly critiquing their treatment. 5. What do you do when someone is really hairy??? 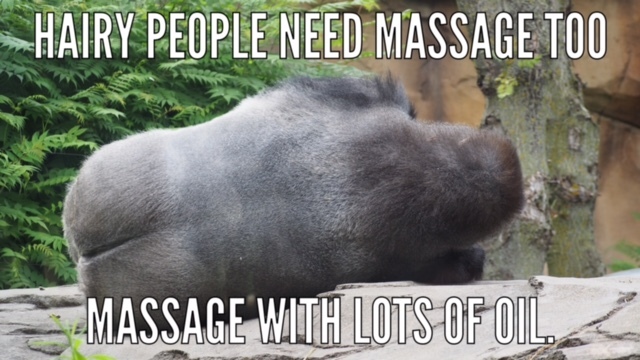 Answer: I give them a really good massage! We see all shapes and sizes, so some hair isn’t a problem at all. So I hope that cleared up some of the questions circling in your mind while you lay on the treatment table. I really love massage and getting to chat with my clients, so please don’t hold back if you actually have a question! We don’t like to talk too much about ourselves because the massage is YOUR time, however it’s nice to get to know each other.